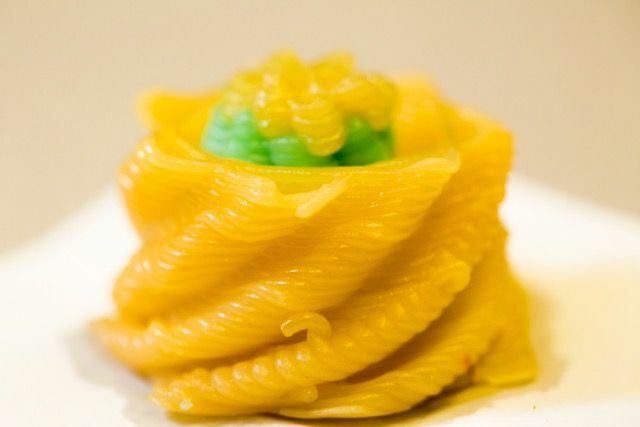 Will 3D food printers revolutionize the way we eat? Tomorrow, will our food be printed? This is the question that the “Manger 4D” members of the collaborative research project have been thinking about. Imagine entering your smart kitchen in your house. Your 3D food printer, capable of printing and cooking your favorite meals is installed between a connected stove and the IoT (Internet of Things) compatible toaster. This concept is not far from becoming a reality. Within the next fifteen years this will become commonplace, not only for private households but also for restaurants and the food industry. Print my food? Why would I do this? Thanks to 3D food printing, everyone can print decorated foods with chocolate, sugar, biscuit … This technology also works for ravioli, pasta, pizzas, pancakes, confectionery and ice creams. The 3D printer allows you to bring to reality all your food fantasies, from scrapcooking to culinary design, mixing cuisine and art. To start preparing meals remotely through the development of mobile applications. “Eating 4D” is a program dedicated to exploring the opportunities offered by the crossover of new technologies (mixed reality, augmented reality, Internet of Things and digital manufacturing), food chemistry (textures) and human and social sciences . This collaborative research project brings together a consortium of nine companies and experts from the academic and institutional worlds. The objectives of the project are to create new applications and digital solutions, creating value for businesses, and to embody the scope of Food Tech in the region and make it known nationally and internationally. Three experimental areas are explored: personalized food for the private sector (aging populations, young children, etc. ), fast food, culinary design, and industrial prototyping. “Eating 4D” explores the processing steps of the food industry using digital, and by crossing digital opportunities and food sectors. With a sponsor and academic actors in Rennes, France, a real co-creation process in “living lab” mode was set up : a place for meeting, learning, testing and implementing digital solutions for the food sector. SUNI ran the task dedicated to the design and prototyping of a 3D printer for a bench test. The design fundamentals were set down, notably the integration of hygiene constraints. How does 3D Food printer function? The food 3D printer restores from a 3D digital file a real shape, by depositing, agglomerating and solidifying an agro-food material or matrix. This material is stored in liquid, pasty or powder form, then immersed in the machine, in a cartridge. 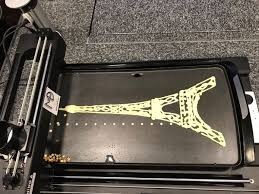 The transmission of the 3D file to the printer, triggers the impression: the machine deposits the food on a tray in successive layers to make a piece of chocolate, a pancake, a sugar decoration or mashed potato with salted butter. Most 3D food printers work by depositing, which means they deposit layers of raw materials into a process by adding material. This technique is used in 3D plastic printing too. The realm of possibilities is not yet fully explored for food applications. A new generation of 3D food printers combines nozzles, powdered materials, lasers and robotic arms to make sugar carvings, patterned chocolate and wire pastry. Products are already on the market, available for purchase on the internet. A printer, the 3D Systems ChefJet, crystallizes fine layers of fine-grained sugar in a variety of geometric configurations. The same manufacturer, Cocojet works with chocolate, from syringes in beautifully melting patterns. Advanced printers are even better. The Foodini, for example, uses fresh ingredients, loaded in stainless steel capsules, to make pizzas, stuffed pasta, quiche and brownies. The Barilla pasta machine prints noodles with water and semolina flour. And a prototype of Hod Lipson, the leader of mechanical engineering at Columbia, makes nutritional bars and simple pastries. Did you like this article? Share it on social media! SUNI’s project team first experimented the means and the uses. On the Foodini, the team with the help of a starred chef, worked a turkey meat base with crème fraîche, salt and Espelette pepper. A 3D poultry file was thus printed with this food matrix. In order to test all the food matrices of the industrial consortium, SUNI has drawn up the specifications for an R & D machine to test and print these matrices, ranging from gherkins to salmon. By matrix we mean a prepared and supplemented food base. The contribution of academic actors,like Agrocampus Rennes in particular, focused on these matrices, in order to make them printable. It is a question of working the viscosity, the fluidity matter while keeping a texture useful for cooking. 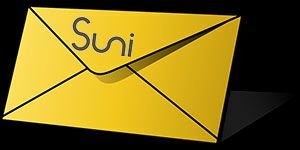 SUNI, responsible for the housing subdivision, means of manufacture, has developed with a multidisciplinary team (mechatronics, agro-food) the M4D machine. This machine, equipped with three printing heads of different technologies, makes it possible to work different types of alimentary materials (mashed vegetables, mashed meat, chocolate, butter, …). Matrix qualification tests, aimed at defining the operating parameters for good printability, are currently being conducted by SUNI team. The challenges may be to superimpose the material without the food collapsing or becoming deformed, or to have a productivity adapted to an industrial environment. Want to innovate in Foodtech? The Manger of 4D project has successfully experimented with food printing. Other Rennes actors have the scientific keys today to develop food matrices of the future and the 4D printing of tomorrow. SUNI helps you in your innovative projects concerning food printing.